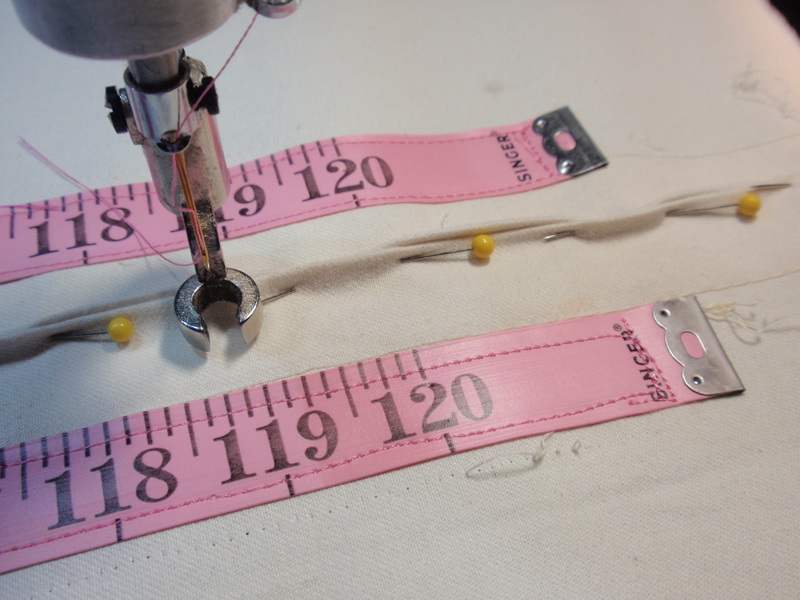 I recently added tape measures to all 3 longarm leaders. I bought the 120" tapes at Walmart (each came with 2 marking pencils for less than $3). 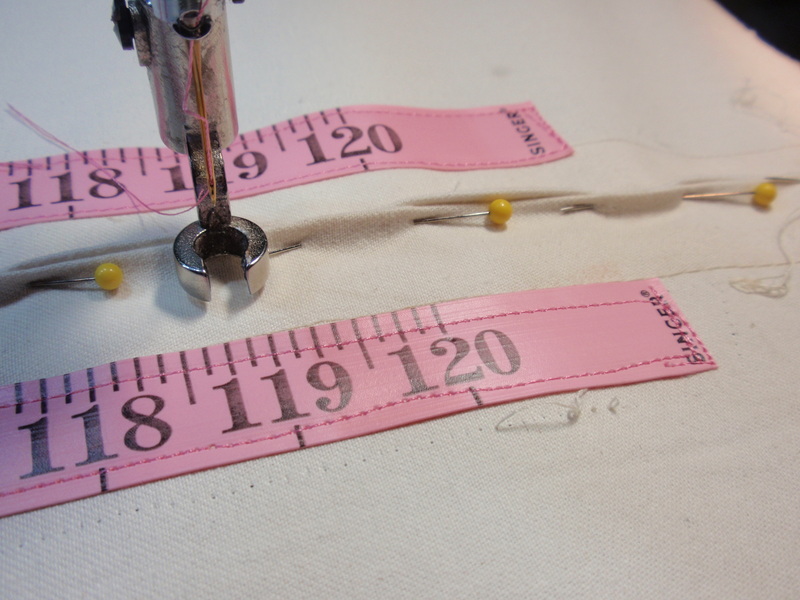 I pinned two leaders together, laid out the tapes, and then sewed each tape on with the longarm. I use Red Snappers for loading quilts, but I took them out while doing this. I also snipped off the metal end of each tape - didn't want to hit it with the longarm needle! This should make it a lot easier to load quilts. Dunster, you'll love it. 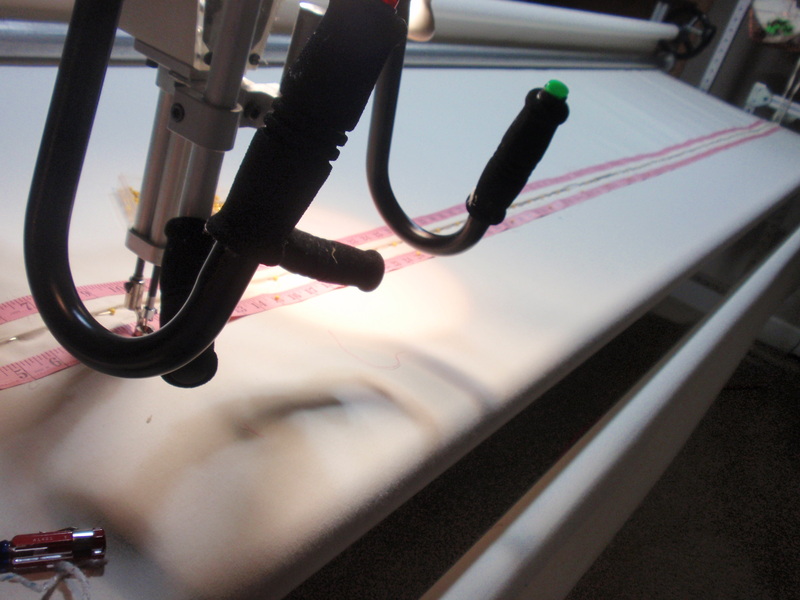 I did that recently with the longarm centering tapes. I didn't want upside down numbers on one side, lol! No more constant measuring! One thing surprised me, though. I found out that my original longarm centering tape (the one you suspend over the quilt) had stretched quite a bit through use. So I had to quit using it. I figure, what are the chances all the stretching was evenly distributed over the tape?? None, I'm sure. I have an Innova, and I bought the open toe hopping foot directly from them. I don't know if it would fit any other type of longarm. How can your hopping foot not be working right? Dunster, how do you like the micro handles? I use them a lot. They give me much more control than the other handles do. Although - the other handles are adjustable, so I could probably put them into a position to give me the same control. Having the micro handles means I can use either one without adjusting anything.